Ardfry House was built in 1770 in Oranmore, Co. Galway by Joseph Blake, who became of the first Lord Wallscourt in 1800. Originally designed as a two-storey house with nine bays, it was renovated in 1826 when several gothic features were added. Unfortunately Lord Wallscourt's wife developed a serious gambling problem and as a result the lead was stripped from the roof of Ardfry House to pay her debts. Another later restoration was short lived – the house had windows installed and a new roof fitted when Ardfry featured in the 1970 film The Mackintosh Man staring Paul Newman – only to be burned out as part of the filming. When the fifth Lord Baron of Wallscourt died without an heir the house was abandoned and soon fell into ruin. 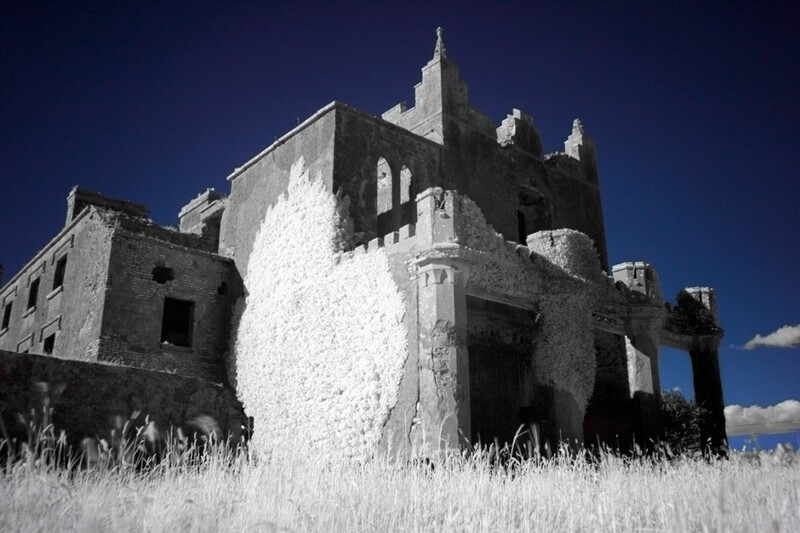 Planning permission was granted by Galway County Council in 2004 to develop Ardfry House into luxury holiday apartments but it would appear this plan has been shelved and Ardfry will continue its existence as an imposing ruin overlooking Galway Bay.